Buffet a Kilo restaurants are hugely popular in Rio de Janeiro, and they are also usually a more reasonable lunchtime alternative to many 'à la carte' restaurants. RIO DE JANEIRO, BRAZIL – Anyone living in Rio de Janeiro for a while is bound to have a favorite buffet a kilo restaurant. These are places, often catering exclusively to the lunch crowd, which follow a simple formula: the customer fills their plate from a buffet and then pays for their meal by weight. 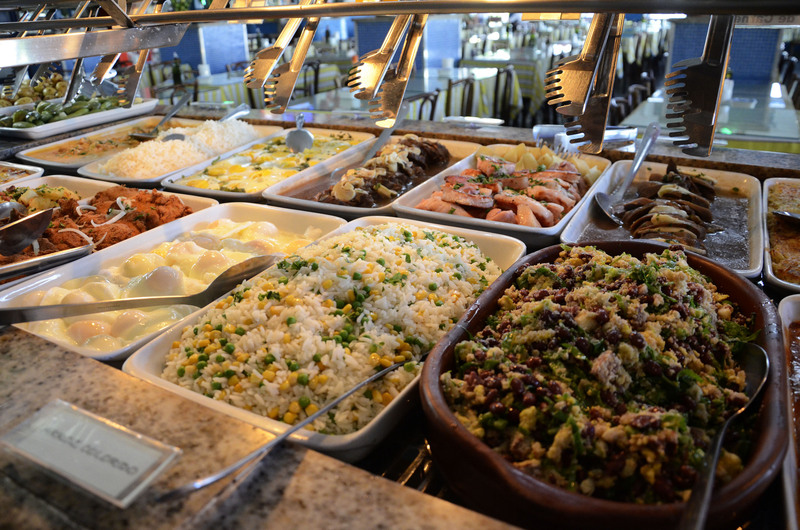 Eating out is an important part of the carioca lifestyle, and almost every Rio local has at least one favorite buffet a kilo restaurant, photo courtesy of Alexandre Macieira/Riotur. 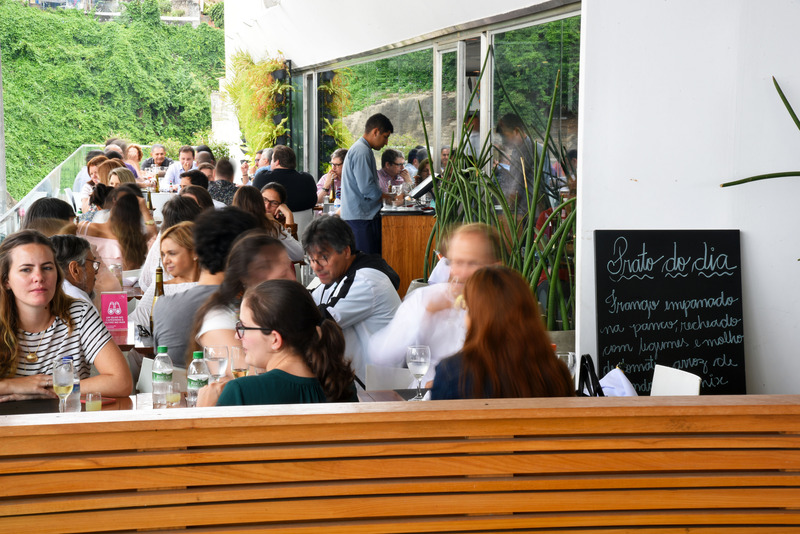 Celeiro is a Leblon institution and perfect for someone looking for a healthy lunch in one of Rio’s most exclusive neighborhoods. They use a lot of organic ingredients and offer plenty of inventive and delicious salad options as well. Quiches, stews and other freshly prepared dishes are also complimented by a mouthwatering dessert menu. Dona Vegana has a reputation as one of the best buffet a kilos in the city center, vegan or otherwise. Their lunch buffet is often extremely popular with people who work nearby. Another classic buffet a kilo restaurant in Rio’s city center is Kilograma. The restaurant offers an amazing range of great quality food, including excellent sushi and oriental dishes too. Buffet a kilo is a fun way to ensure you’re getting the most bang for your buck, as well as a chance to try a little bit of everything, photo courtesy of Alexandre Macieira/Riotur. For those staying in Copacabana, Cardamomo is the best kept secret among locals. This unassuming buffet a kilo restaurant – located just two blocks from the beach on the corner of Rua Barata Ribeiro and Rua Constante Ramos – offers a small but expertly-prepared buffet, with specialties like Mexican chicken and Chinese pork ribs. The staff are attentive and helpful, and they even offer a free jelly dessert with every meal. For the party-goers and nearby workers in Lapa, many swear by the buffet a kilo at Bar Arco Íris on the lively thoroughfare of Avenida Mem de Sá. During lunch hours, and for a time after, the bar offers a tasty selection of Brazilian favorites such as feijoada and fried fish, alongside staples such as chips and grilled chicken.